1. Mix marinade ingredients in a glass measuring cup. Remove and set aside 1/4 cup of marinade. 2. Combine the remainder of the marinade with an additional 1 teaspoon salt and the chicken, cover and refrigerate for 15 minutes. 3. Brush both sides of the onion rounds and bell peppers with vegetable oil and season with salt and pepper. 4. Using a charcoal or gas grill, cook chicken over high heat until well browned and internal temperature reaches at least 165 degrees. 5. Meanwhile, grill the onions and peppers (skin side down first) over lower heat until spottily charred and crisp-tender, 8 to 10 minutes, turning every 3 to 4 minutes. 6. 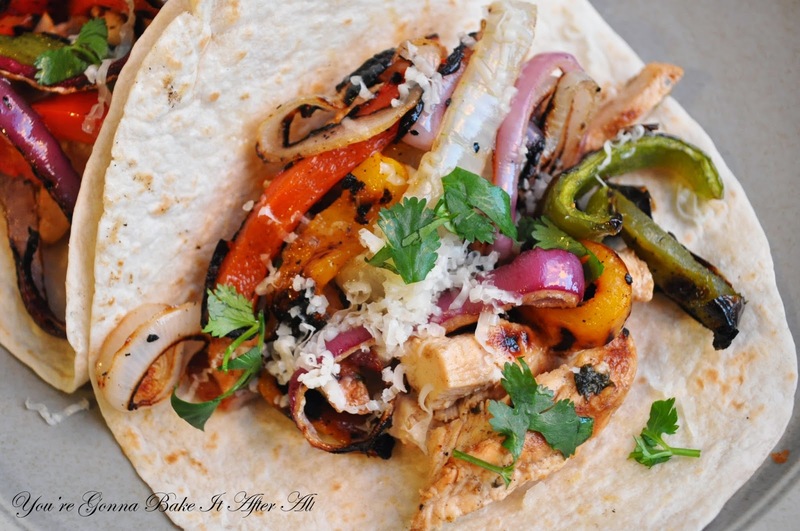 If using tortillas, you may warm them on the grill for about 20 seconds per side. 7. Separate the rings of onion and place in a medium bowl (I like to cut the rings in half). Slice the peppers into strips and add to the bowl. Toss veggies with 2 tablespoons of the reserved (unused) marinade. 8. 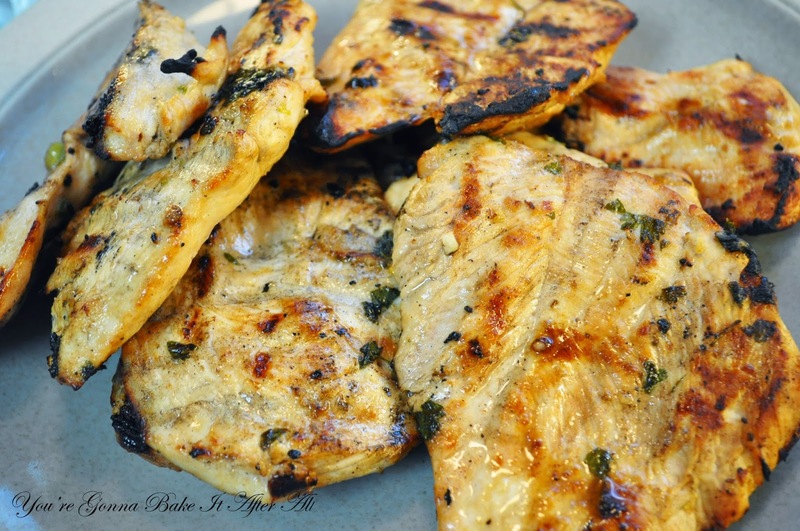 Slice the chicken into 1/4-inch strips and toss with the remaining 2 tablespoons reserved marinade in a separate bowl. (Alternatively, toss chicken and veggies together with the entire 1/4 cup portion of reserved marinade). 9. Serve with toppings as desired, and enjoy!